Il Giro di San Francisco (formerly the “San Francisco Gran Prix”) is an annual bike race around the streets of San Francisco that’s had competitors cruising around the city since 1975. It’s free for spectators to come and watch. Races begin at 8 am with the women’s race. 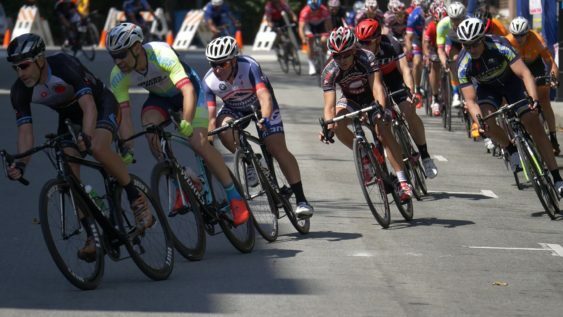 The races take place all day until the final pro race at 3 pm, so whether you’re riding your Shimano or just on the sidelines, come out and see this cycling race by San Francisco’s waterfront. Course (same route since 2004): Five right turns, one left, small hill, mostly flat: Battery, Green, Front, Vallejo, Sansome, Greenwich, Battery Streets; 0.75 miles.